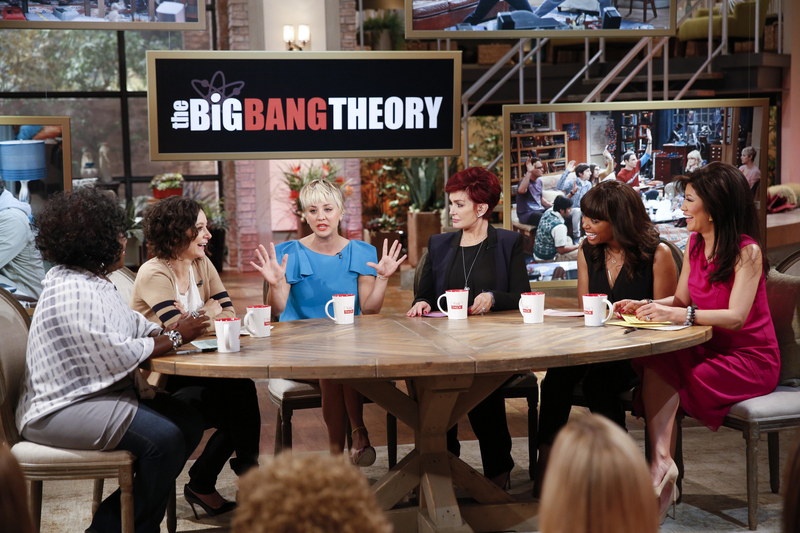 Actress Kaley Cuoco-Sweeting (CBS's "The Big Bang Theory") visited the ladies of THE TALK on Monday, September 22, 2014. From left, Sheryl Underwood, Sara Gilbert, Kaley Cuoco-Sweeting, Sharon Osbourne, Aisha Tyler and Julie Chen. Watch The Big Bang Theory Thursdays at 8/7 c on CBS.